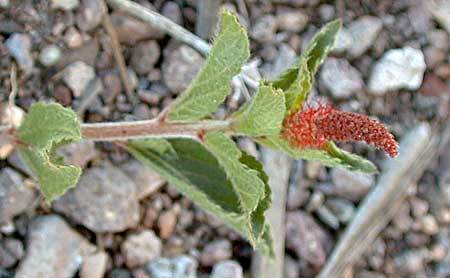 Notes: The flowers are in spikes at the tips of the stems or growing from the leaf axils. The staminate and pistillate flowers may be together or in separate spikes. Shrubby Copperleaf plant profile on the USDA Plants server.